I always have lip balm within arms distance at my desk, in my car, by my bed... so I'm particularly excited about adding a few new ones by one of my favorite southern companies, Savannah Bee. 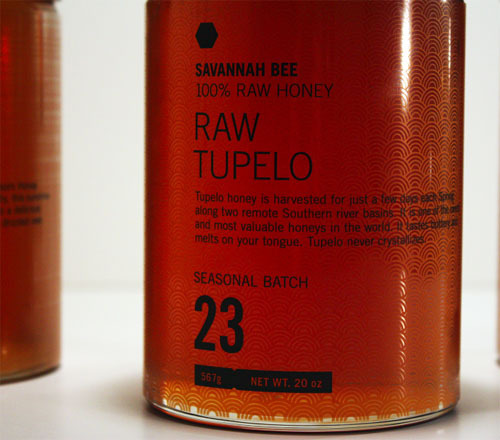 As Tupelo Honey is my favorite honey, I think I'm going to start with this one. All the balms have a soothing beeswax base with coconut, olive, cocoa and hemp seed oil as well as essential worker bee made ingredients, propolis and royal jelly. There are currently 8 lip balm flavors. You can buy a pack of southern flavors or pick your favorite, here. The honey bee is a master designer. This fact makes the task of creating innovative packagaing for Savannah Bee Company's honey all the more challenging, yet so fun. Graphic Artist, Collin Cummings took on the challenge for a school project and the results are nothing short of extraordinary. Inspired by the diligent work of the honey bee, which is a highly industrial procedure, Collin had to come up with a design that complemented the bees' hard work ethic. As Collin noted, "Although honey production is so systematic in nature, the finished product is elegant and soft." 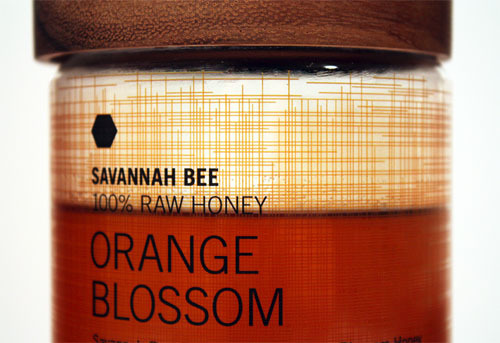 He added, "The clear and simple bottles with a minimal design cause the design to rely on the honey, which is beautiful alone." Collin continues, "Typographically, I kept the brand very sterile and minimal to address the industrial quality. 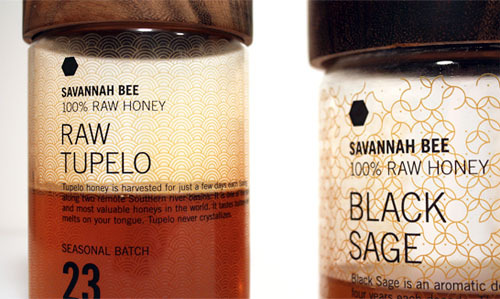 As the honey gets ued, each bottle reveals its individual personality through a unique pattern. I wanted to establish a sense of revelation. By slowly expressing the elegance of each type, the bottles would stand out as being timeless." The empty glass jars with pretty patterns could then be reused, another benefit to thoughtful design.